For a pretty dormant fanbase, the RoboCop clan are fiercely protective of the Detroit cyborg they first met in the 80's. I should know, I'm one of them. While it's been a while since Murphy tore crime a new one, MGM and Sony are continuing to ramp up audiences for their February 2014 remake, with a second theatrical trailer and an even snazzier poster. 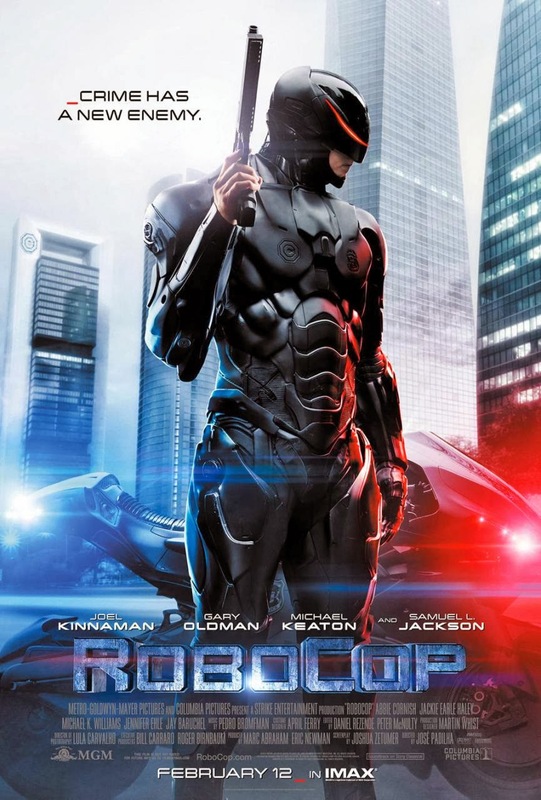 Set in 2028, Alex Murphy (Joel Kinnaman) becomes the first cyborg in OmniCorp's new wave of enhanced police officers, that the corporation hopes to 'sell on' to every city in the futuristic crime plagued United States. While I rarely see a Samuel L. Jackson film I don't like, even with Gary Oldman and Michael Keaton thrown in for good measure, I'm still not entirely sold. Even the poster while a striking visual jarrs me. 'Crime has a new enemy' - RoboCop's not new, and to be honest, the original slogan, Part man. Part machine. All cop., is still pretty damn epic and could've been a nice homage to the source material. Give the trailer a watch and see what you reckon. I'll go - 110% locked in - even if they just played the logo on the screen I'd still go, because hey, RoboCop is a name that belongs on movie screens. Oh yeah and S.L.J is incentive too. What they need to do though is hurry up and invent those transporter door movie theatres, so you can materialise in any movie theatre in the world and share a film and a soda with whoever you want. Just like that old Coke song in the 70's used to sing about. Ahh hippies. Is there anything they don't know? i want it to be good, but i just don't know. But yeah, with all the reboots, I'm skeptical until I'm not. Darn that suit looks good! Looks like we are all in the same boat guys! Roll on February!